YO ANCLE MI FUERZA EN EL Y LA ANCLOLES TOY EN PROCESO TU ME DICES MI QUERIDO REY JESUS PARA LA ETERNIDAD POR SIEMPRE AMEN. 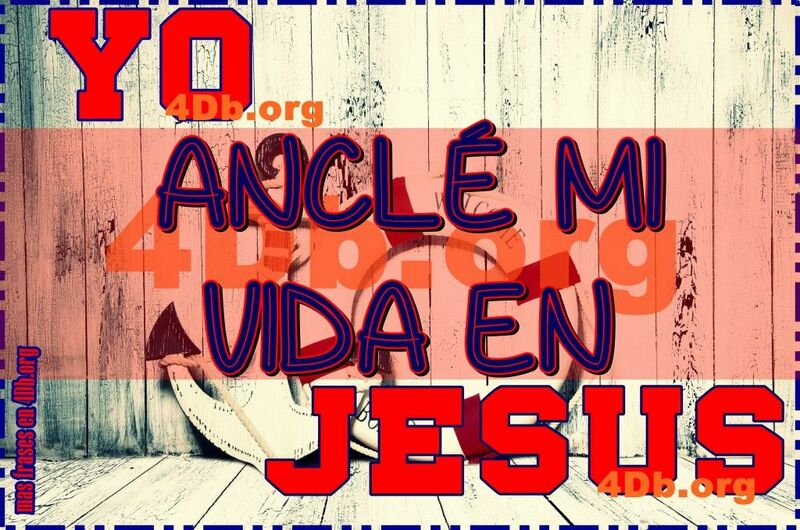 YO ANCLE MI VIDA A DIOS POR SIEMPRE LO HARE! POR SIEMPRE EL LO SABE TODOS LAS ANCLAMOS POR SIEMPRE ALELUYA AMEN.